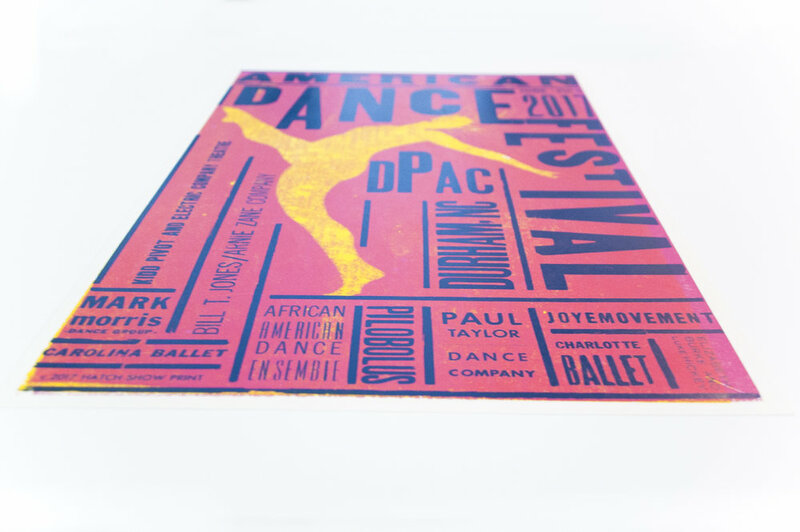 Durham Performing Arts Center, a regular client of Hatch Show Print, needed this piece for an upcoming dance festival. In this poster, I wanted to convey movement through typography. Thats why I made the decisions to vary type sizes and direction when framing the image of the dancer. 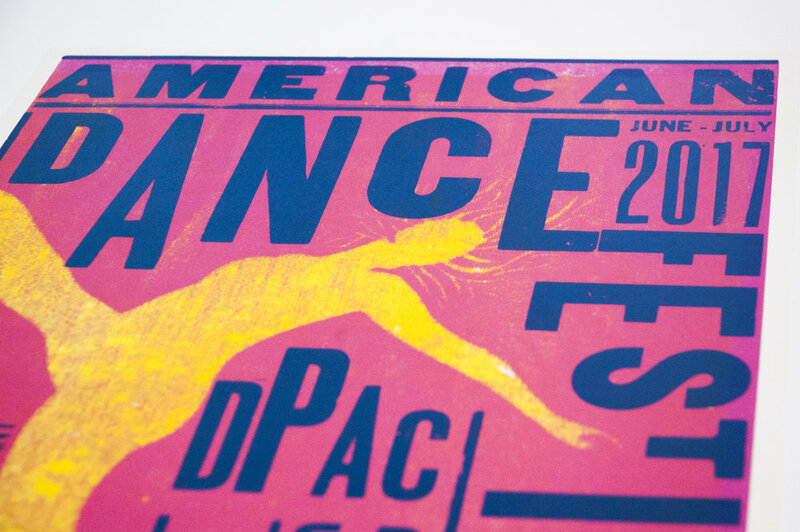 The dancer was pressure-printed onto a yellow background. A large challenge of this piece was the amount of type required by the client in order to show all the performing groups. But, this challenge became an opportunity to set different lock-ups and experiment with different type treatments and combinations.